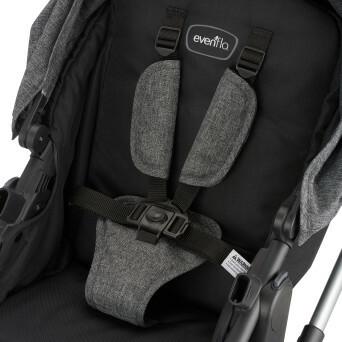 The Evenflo ProSeries Pivot is a stylish travel system with three reversible modes. 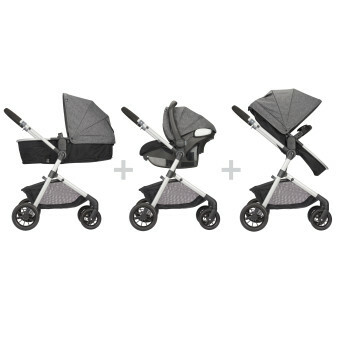 Features include: Large three-panel canopy, Cruiser tires, Ergonomic handle for effortless handling, LiteMax Infant Car Seat with Lyf+Guard advanced compression technology. Buy selected travel systems and get a SafeMax base (Compatible with LiteMax and SafeMax seats) free! Added to cart automatically. 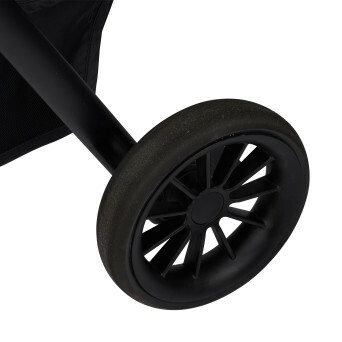 This 3-in-1 stroller solution offers a versatile design that grows with your child. 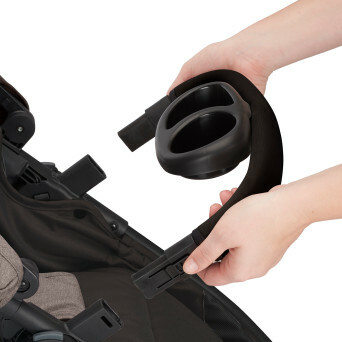 Infant mode offers both Car Seat Carrier and Carriage function. 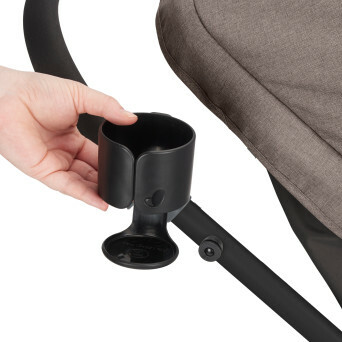 As your child grows the Pivot’s usefulness evolves to accommodate both forward – and rear-facing seated positioning. Fit: Top of head at least 25 mm (1 in.) below top of the seat back. Age: From birth to approximately 6 years old. 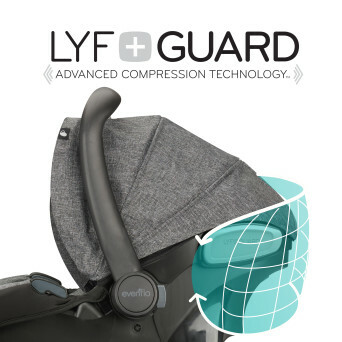 The Pro Series LiteMax Infant Car Seat comes equipped with advanced compression technology called Lyf+Guard. Lyf+Guard is made up of multiple layers of energy-absorbing materials designed to compress upon impact, helping to lower the risk of injury. 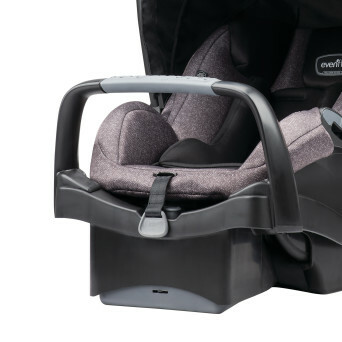 Our new Evenflo SafeZone™ Infant Car Seat Base pairs with the SafeMax™ Infant Car Seat. 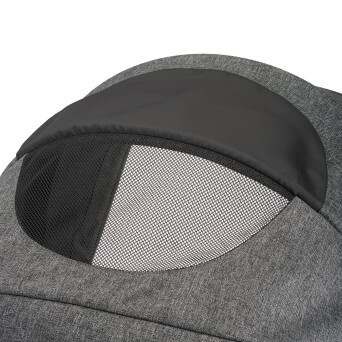 It is designed with your lifestyle in mind as an extra infant car seat base for second car convenience. The SafeZone™ Base is designed with an anti-rebound bar to absorb and dissipate crash forces.